"Dark Powers Reemerging in the World", Warns Mystic Rabbi - Breaking Israel News | Latest News. Biblical Perspective. Noted mystic spiritual leader Rabbi Nir Ben Artzi warned against witchcraft and black magic making a comeback in the world In his weekly sermon. The rabbi was confident that the powers of good and God would prevail, giving practical advice on how to fight this spiritual battle while noting the signs of the Messiah apparent in the present situation. 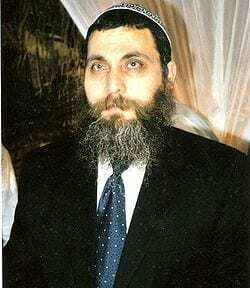 Rabbi Ben Artzi began by warning that dark powers are reemerging in the world, seeking to usurp God’s rule. “[God] rules the world, and not the powers of impurity. Idol worshippers look to the stars and tell fortunes in tea cups, using tarot cards, and other methods. They believe these things rule the future,” the rabbi said. Rabbi Ben Artzi compared those who oppose modern Israel to Pharaoh and his evil magicians, who used dark magic in a futile attempt to oppose God’s will. The rabbi suggested an unusual Torah-based tactic to battle the forces of magic assailing the State of Israel. He explained that hidden things could not be cursed, illustrating this by quoting the Talmud (Baba Metzia 42a): “Everything that is hidden from the eye has in it a blessing”. The rabbi believes that secrecy is also a beneficial trait of the new president of the United States, Donald Trump, which will help him in fighting these forces of evil. Rabbi Ben Artzi explained that these dangers are proof that the Messiah is already in the world. “If there were no Messiah right now, in this generation, there is no way the world could continue to exist,” the rabbi stated. “The Messiah is active, working to protect the borders of Israel from above. A pillar of smoke protects Israel.